Brussel Sprouts, you either love them or you hate 'em. But I love these nutrient packed green buds! Full of fiber, antioxidants, and multiple nutrients and vitamins helps keep your plate balanced and your belly feeling full. I'll roast these up for a side, or have them around for the week to throw into Breakfast Bowls or to add into any dish. They pair great with other roasted veggies! 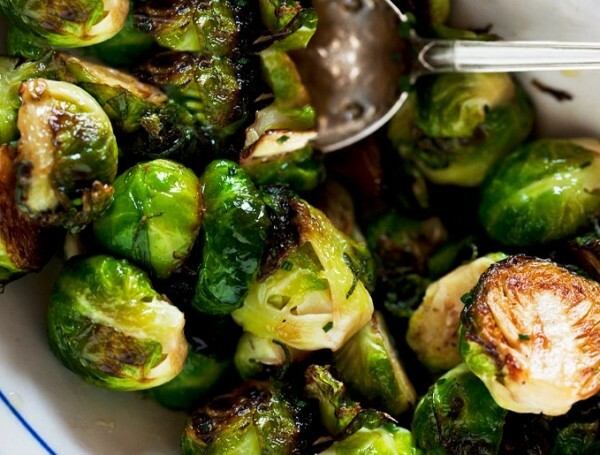 A simple recipe, yet there's so much you can do to Brussel Sprouts! 1 lb Organic Brussel Sprouts of the stalk. Rinse and then cut into halves.